For the performance, held on October 14, 2017, Britt led a musical ensemble featuring Chuck Treece (guitartronics), John Morrison (electronics), Heru Shabaka-Ra (trumpet), Rich Hill (upright bass), Lyrispect (poet), Anthony Simpson (vocals), and Gionna Clift (vocals). 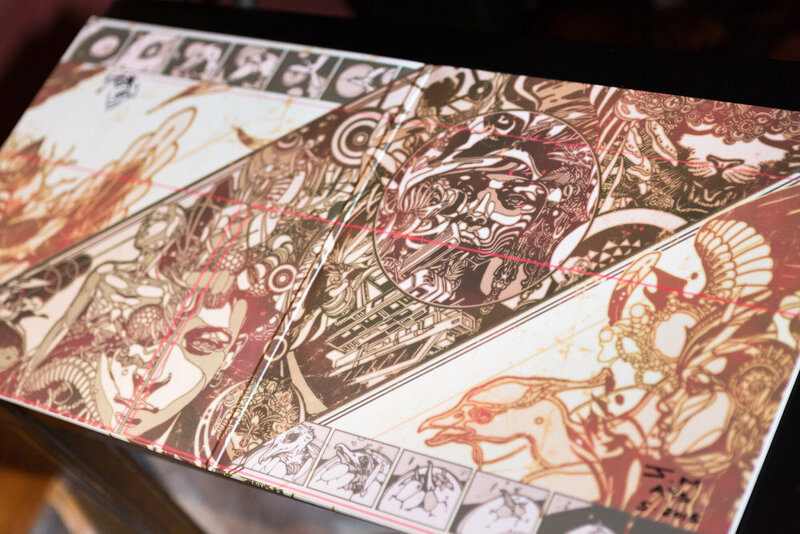 Mays illustrated thirty-foot-long rectangular panels with Afrodiasporic-inspired images of transcendence, struggle, and futurity. 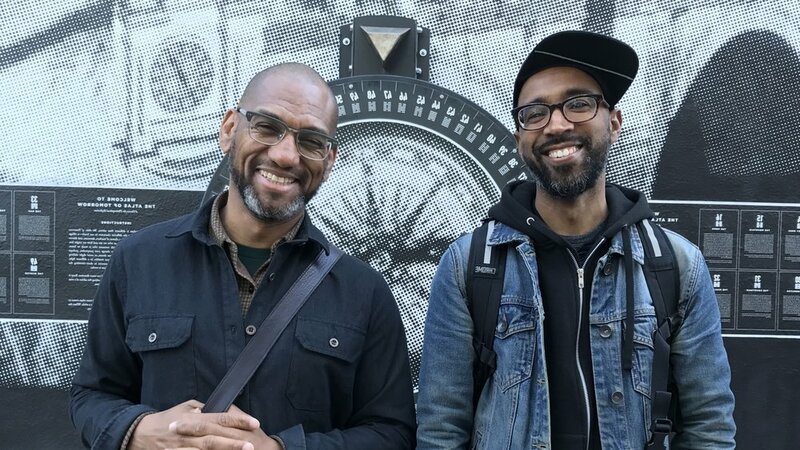 Britt and Mays are working with Mural Arts to complete a mural at 53rd and Lansdowne Avenue that features an augmented reality app to provide access to archival images and sounds from this collaboration. Partners: Mural Arts Philadelphia, The City of Philadelphia, Philadelphia Parks & Recreation, Friends of Malcolm X Park, and Mural Arts Philadelphia’s Art Education program. Dreams, Diaspora, and Destiny was presented as a part of the Monument Lab: Philadelphia (2017) exhibition. All of us are here learning who we are through our ancestral make-up and the dreams of what our ancestors wanted for us. They laid the groundwork for our lineage and are now carrying on the dream. Many of our ancestors were displaced by various circumstances. As we delve into diaspora studies we learn more about ourselves and how we wound up in this present time and space. So what will we do with this, what is the future, and what will we leave? This project is a two-part youth-driven project that will be a temporary monument to the future in Malcolm X Park. 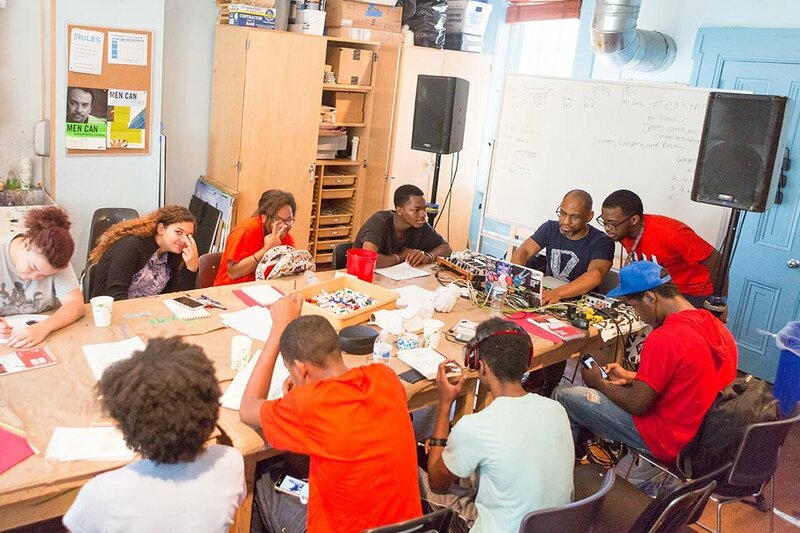 The forward-thinking and futuristic utopian artwork of Joshua Mays will be the main visual element through the lens of the youth from Mural Arts Philadelphia’s Art Education program. 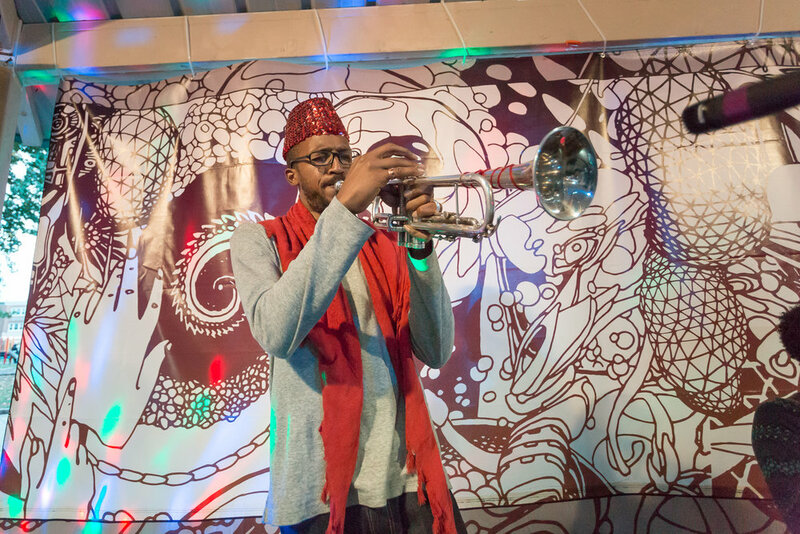 As part of the multimedia installation, King Britt will provide a sound element as well as a culminating performance on October 14 with local musical legends, creating an improvised work as the audience enters our monumental time portal. As a tribute to one of our ancestors that laid the groundwork, we will also include some of Malcolm X’s peaceful ideas, to pay respect to the space. Joshua Mays is a muralist, illustrator, painter, and mixed media artist who lives and works in Oakland, CA. He has created public murals and been in exhibitions in cities around the world including Philadelphia, Denver, Washington DC, Portland, and Mexico City.